There is this thing called the Caine Prize for African Literature, whatever that means. People compete for it and someone invariably wins. There is a lot of noise making and jollification for a deserved win and the poor winner is expected to write a book. The poor fellow always obliges and dutifully produces a thoroughly wretched book. It hardly ever fails. There have been notable exceptions but one would argue that the writer wrote a good book despite winning the Caine Prize. 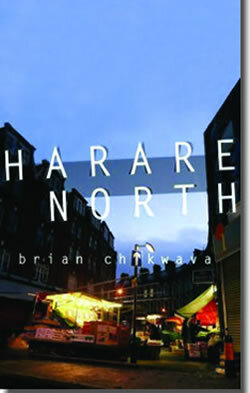 One such wretched book is Harare North, written by the brilliant, perhaps gifted Brian Chikwava. He is destined to write a good book – once he finds his voice. It is just that right now, his toes are flirting with crickets while Africa is carrying elephants on her head. There are few books that have frustrated me more than Harare North. It is like staring in anger at a rich pot of soup ruined by an impish but talented cook. Harare North is a meandering journey undertaken by an unnamed main character fleeing imaginary trouble back home in Robert Mugabe’s Zimbabwe (you get the story already, sorry!). He heads for London (aka Harare North) and proceeds to lead a wretched meaningless existence. Saddled with a not-so-bright friend named Shingi he immerses himself in the under belly of the immigrant community in London building tricks to stay above water. It is not pretty but this is not just because of the wretched lives these people live in the grimy underbelly of grimy London. This is an unfortunate book for reasons that are the fault of Chikwava and publishers eager to publish and sell reams of Africa’s dignity to a willing and gullible Western audience. What is it with African writers and stereotyping? In the 21st century many of them are still scheming their way into the pockets of gullible Westerners who truly believe that Africans are exotic lovable dolts to be watched like animals in a zoo. I am not amused. On one level, Harare North is a brilliant book, written by a brilliant, sensitive author with the potential of shining a compassionate light into the lives of immigrants of color.. And sometimes it works. Chikwava lays bare the tricks that immigrants turn to somehow survive in London. But then, what’s with the contrived English? Harare North is engaging and heart-warming, but the contrived English gets in the way, each time. It is like finding your favorite meal infested with tiny obnoxious stones. The book offers evidence of formerly elegant prose poetry ruined by reckless experimentation with contrived English. There is no linguistic structure to it because the language simply doesn’t exist. Profound thoughts become distressed babble under the weight of dysfunction. Not convincing, the contrived result. Chikwava has dissipated vigorous energy to write nonsense. It is funny but it is nonsense. It is perhaps a weakness of the narrative that Chikwava could be accused of creating negative stereotypes and spinning bigoted tales at the expense of Zimbabweans. This is not the Zimbabwe of Petina Gappah’s elegant stories (Elegy for Easterly), or even of Dambudzo Marechera’s brilliant angst-ridden anthems. There are traces of bigotry and prejudice some aimed at gays and lesbians. We see the immigrant of color as a shiftless aimless buffoon. This is just one aspect of the immigrant life. Who tells the others? Read it, it is fun despite itself. I do miss Ike Oguine’s A Squatter’s Tale. It is a better book. By far.